In a new paper published in the American Journal of Clinical Nutrition, the authors found that Vitamin D improves insulin and glucose function in overweight, prediabetic adults. 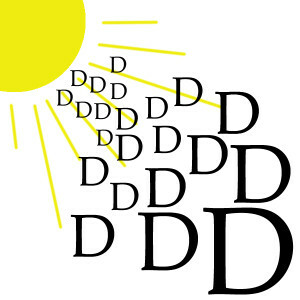 Vitamin D is an essential vitamin that our bodies make in response to UVB sunlight and during the winter months we get very little UVB light and therefore are at risk of developing Vitamin D deficiency. Without adequate sun exposure in the summer we are still at risk especially since so many people are unaware of what it is required to do in order to get the right amount of sunlight per day. 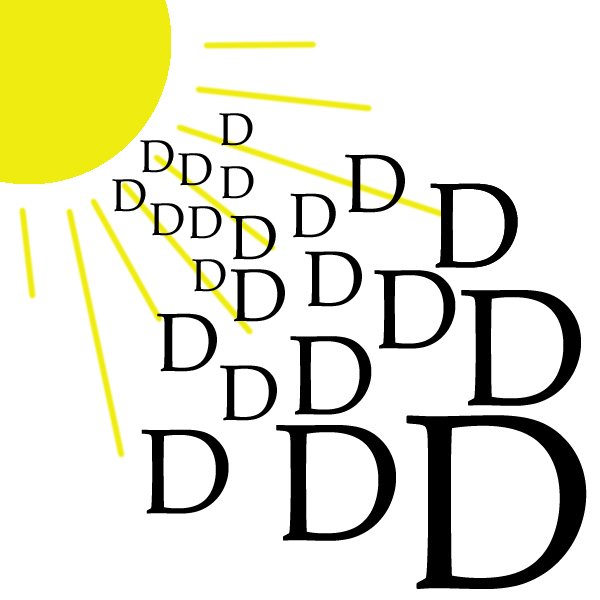 Vitamin D deficiency has been linked to a host of health concurs and risks, several of which I have listed in this blog, but linking D deficiency to diabetes is rather new. A paper published in 2013 showed that low vitamin D levels are associated with insulin resistance, metabolic syndrome, and Type 2 diabetes. This recent paper published in June 2014 the researchers examined the effect of vitamin D supplementation on participants who were diagnosed with prediabetes and live in the Netherlands. During the 16 week trial subjects were given 1200 IU daily of vitamin D or a placebo. The data showed that the vitamin D group had an average increase in vitamin D levels of 38 nmol/L and that improving vitamin D levels to 60 nmol/L and greater resulted in a significant increase in insulin functioning of prediabetic, obese patients. The message from this study is that by improving vitamin D levels through supplementation you can improve the way your body regulates insulin in prediabetic and possibly diabetic patients. I would not suggest using this study as a means to bypass your doctors recommendation but use this info to support a decision on adding vitamin D supplementation to your daily routing, if you haven’t already. Vitamin D is essential to cellular functioning and as the research is pointing out we can all do ourselves a favor by taking vitamin D and monitoring our vitamin D levels. This is one of the two biggest suggestions we hit home with our patients, the other being Omega-3 supplementation. If you do nothing else we suggest we try to hit home the importance of D and Omega-3 supplementation to help our bodies function better. I suggest taking a minimum of 1200 IU daily but it is perfectly safe to take up to 4000 IU daily. It is perfectly reasonable to take 1200 IU in the summer months and double it for the winter months when our UVB exposure is nonsexist. If you have any other comments or questions let us know and like all other health decisions you make they should take into account your individual situation which means consulting with the physicians who manage your care.